Soundmoji is an incredibly fun, new way of expressing yourself! 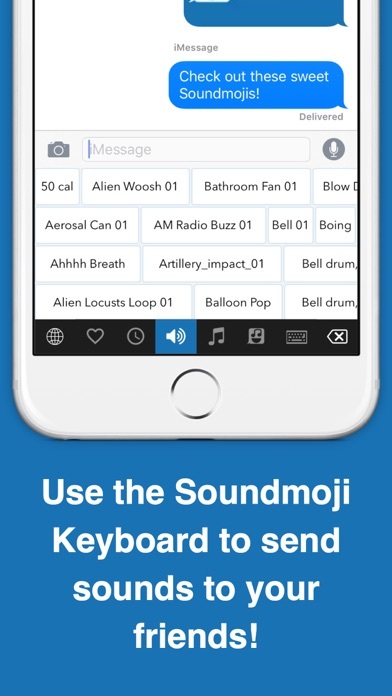 Use the Soundmoji keyboard to copy fun sounds and paste them to your friends in messages and emails! 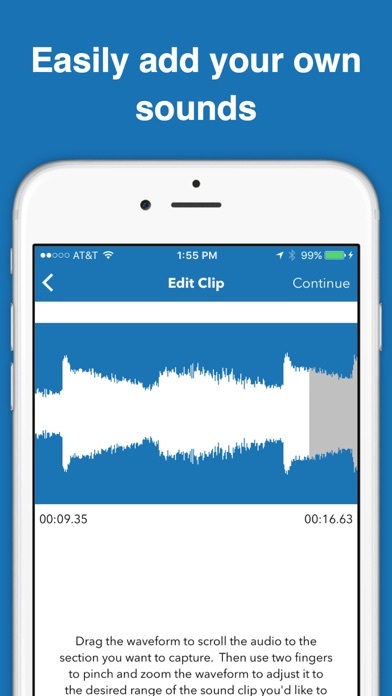 - Hundreds of awesome built-in sound effects - Activate the Soundmoji keyboard to copy and paste sounds into your messages - Use the Soundmoji app to audition sounds and quickly find your favorites! 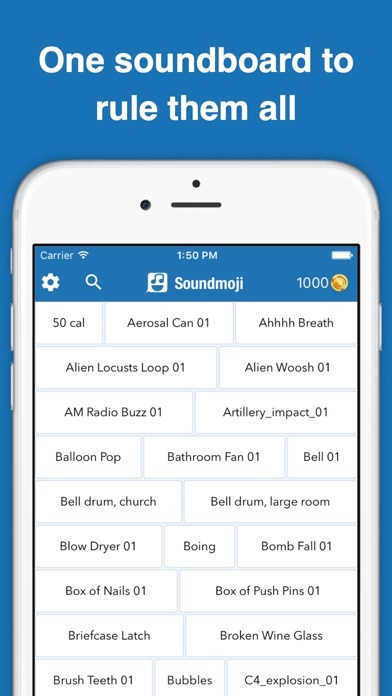 Get Soundmoji today and start expressing yourself with sound! You can see all of the “sound buttons” with one scroll of your finger, and more than half of them require you to pay for them. So where are all the good vines, and why do I have to pay for half of these? It is very good but to get other sounds you have to use coins that you buy with real money. You start with 100 coins so it is awesome. I love this app. There is some funny stuff on here. It's a good app but I don't know how to go to my packs!